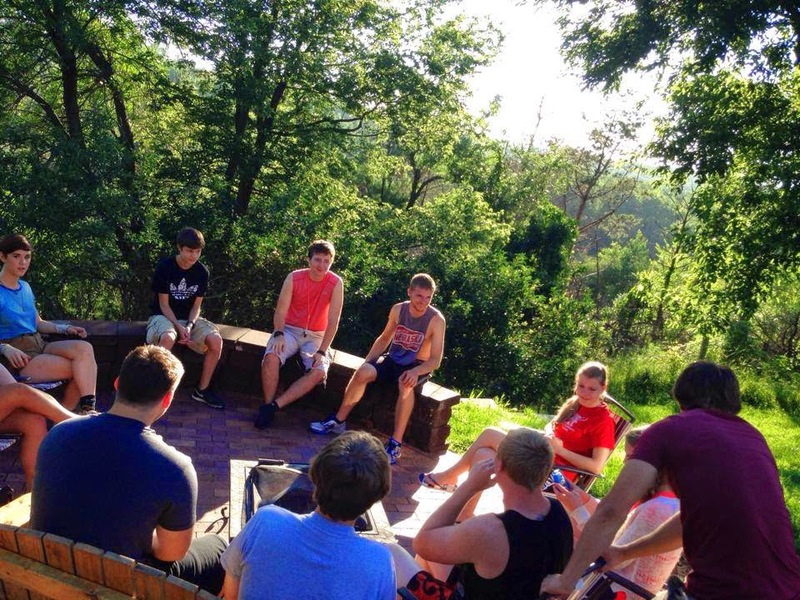 Student meetings take on a different look during the summer months. Taking advantage of the great outdoors, and also of some of our college student volunteers who are often back in their home towns during the summer, we gather high school students together for what we call "Cru Summer". We're grateful for Jake, our part-time staff guy, who works with these college student volunteers (some of our students who have been in Cru during their high school years) to put on Cru Summer. Jake does a great job training them, and leading them ... as they, in turn, lead the summer meetings for students. Jake says, "They have been leading the youth of Blair and Fort Calhoun in a series called 'Can I Ask That?' It has been very encouraging to see God work in the lives of students as we ask hard questions about cultural issues and faith. This has been a great opportunity to start conversations about questions that many times go unaddressed. Our goal is to talk about these issues because, 'Doubt isn't toxic to faith. Silence is.'" 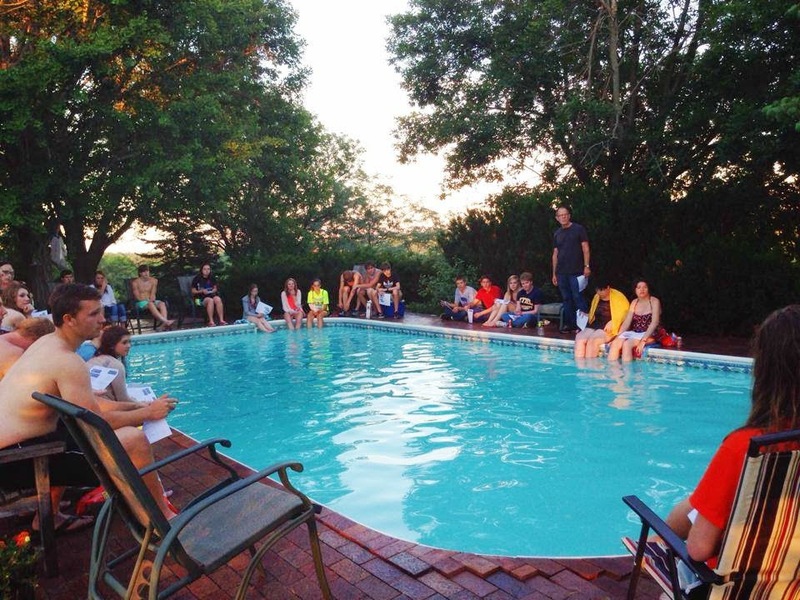 Mid-summer the students met for a fun evening at a beautiful acreage between Blair and Fort Calhoun. 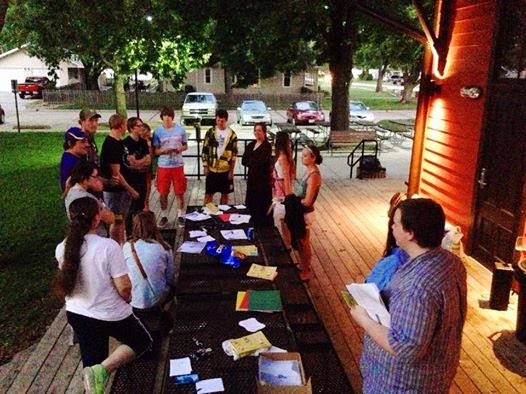 It was an awesome night with water games, other fun activities, an outdoor movie, and inspiration. Please pray for high school students to continue to be challenged to grow in their faith these remaining weeks of summer, and then, as our regular Cru meetings start up again next month on each of our campuses.